Description: Parlez-vous francais? Would you like to ? We're not talking about speaking with a Charles Boyer 'Come with me to the Casbah' accent. We're talking true French. If so you're in luck, our Conversational French class will enable you to chat like a Parisian. Your instructeur, Cynthia 'CiCi' Tenny will help you to learn to understand, speak, and read French in an enjoyable way usable in 'everyday' situations. The class is a mixture of beginners and intermediate students alike. For those who already have learned a little French, this will be a fun refresher experience. As anyone knows, you gamble, you might win, you might lose. 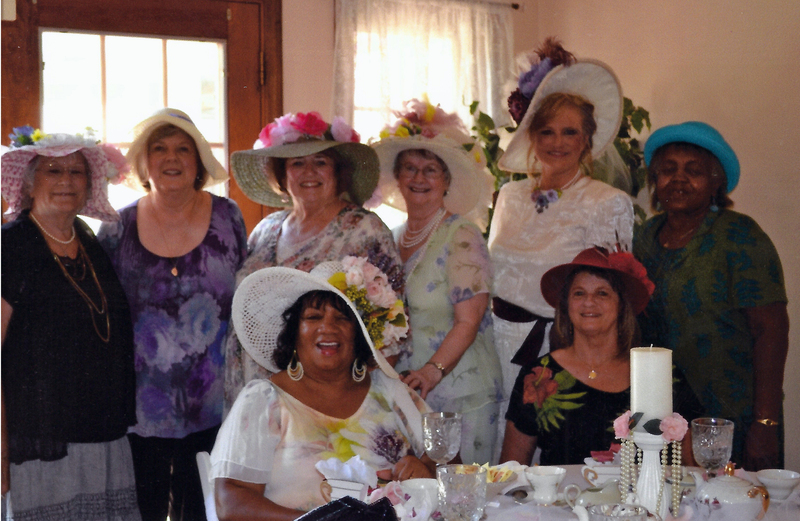 However Lady Luck was definitely in the Highland Senior Center and Chamber of Commerce�s corner as they turned out to be big winners. The two held their annual �Highland Royale Casino Night & Taste of the Town Showcase� fundraiser on June 17. Held at the San Manuel Village, over 200 high rollers came to try to double or triple their bank roll. Some learned that when you gamble you walk away with experience. Other lucky gamblers were lucky enough to start with $50 chips and walk away with $100 chips. No matter what, everybody walked away with a good time, ensured by Pit Bosses Penny Lilburn and Nanette Peykani. Our players, when they didn�t have cards or dice in their hands, were able to feast on the various restaurants for the �Taste of the Town� contest. The Tartan Restaurant on the �People�s Choice Award�, while Two Guys won the �Judges Award.�. Thanks to all of our sponsors, without whom this event would not have been possible: Edge Development, Robertson�s, Burrtec Waste Industries, Patricia Fischer, Inland Empire 66�ers, Southern California Edison, and Century 21 - Showcase (Jeff Stoffel) as well as other money, raffle, and food sponsors. Special thanks to Catrinea Houston and the Hampton Inn Suites for hosting the event. Most of all we�d like to thank all those who came out to support the Casino Night and the Center and Chamber.